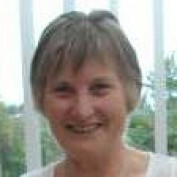 Judith's online interests include Internet marketing, article writing, building relationships with others. Offline, her activities include family, 3 Cavalier King Charles dogs, 2 cats, walking. Judith has a part-time job in care giving, where she looks after elderly people. She has just been nominated as Caregiver of the Year in the Hamilton, New Zealand district, being first among 85 of her peers.